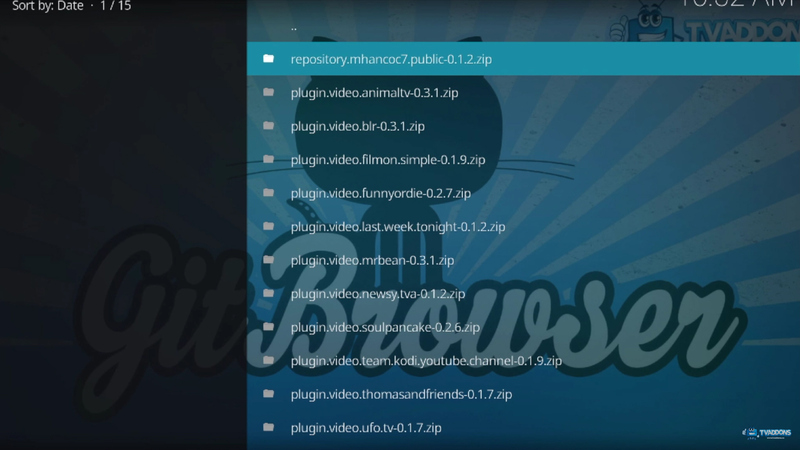 Unofficial Kodi add-on provider TVAddons promised to 'change how people access streaming media forever', and two weeks ago it released a new GitHub Browser to make it easier to browse and install Kodi addons. Following feedback from users, the site has now introduced an updated standalone Git Browser for Kodi with fixes and new functions. The new browser makes it possible to install any Kodi addon directly from its developer's own GitHub repository, something TVAddons hopes will make its community "more resilient and decentralized." Since the beginning, we have always been an innovator. Creating the nito Installer, the first configuration wizard, the first community file manager source, and the majority of the most popular Kodi addons (codebase of most forks) are all innovations that took countless hours of hard work and dedication by TVAddons developers. We do this because we love open source and sharing, and we love forks too! Please remember that our developers are not being paid, and do this for the greater good, for the users. There’s still a lot more to come, this is just the beginning. Online streaming is about to change for the better! The new standalone browser allows the end user to "connect directly to the addon developer, without requiring a file manager source or Fusion Installer alternative." There’s a full guide on installing and getting started with the Git Browser Standalone over at TVAddons, or you can watch the latest video below.